Take one pan and heat. Add Coriander seeds and cumin seeds and dry roast it. Add Dry Red chillies and continue to roast till fragrant. Transfer into blender jar. Add peanuts and garlic and crush coarsely. Heat oil in pan, add onions, saute for 1 to 2 minutes. 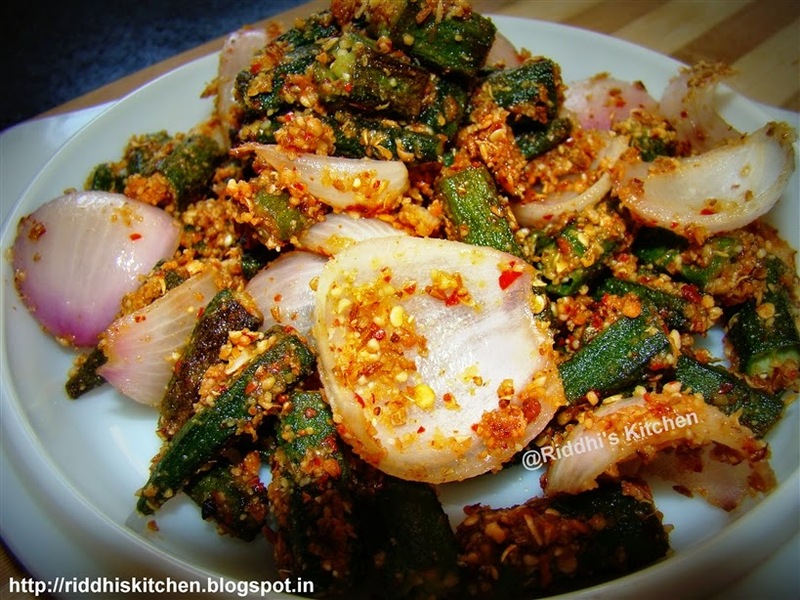 Add bhindi ,salt and mix well. Cover and cook bhindi, stirring occasionally, till done. Add Crushed masala and mix well. cook for 1/2 minute.